In the wake of Ms. Berta Cáceres’s assassination, Rainforest Fund has written a letter to President Hernández with the intention of expressing our sadness but also our demand for justice and an end to senseless violence. 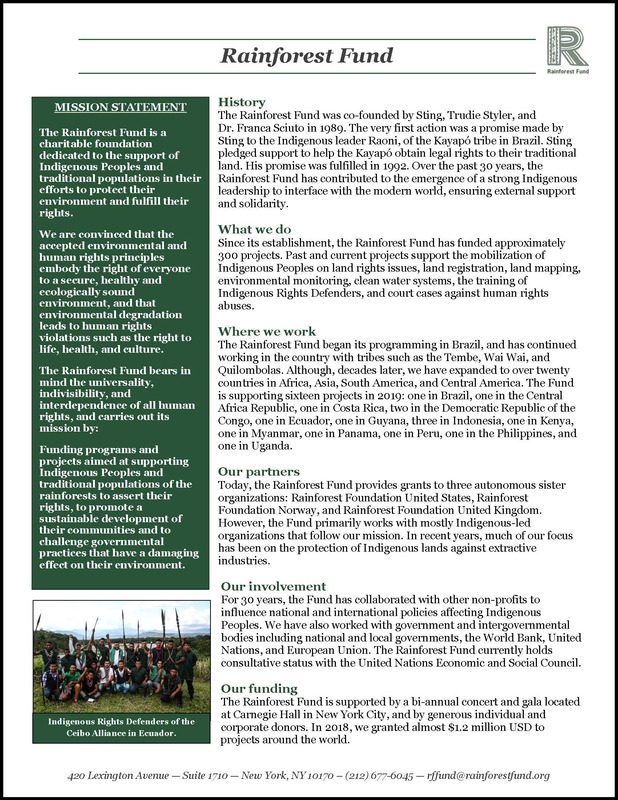 We write to you as Rainforest Fund, a non-profit organization that for twenty-seven years has supported indigenous peoples throughout the world’s rainforests in their efforts to protect their ancestral lands and fulfill their rights. 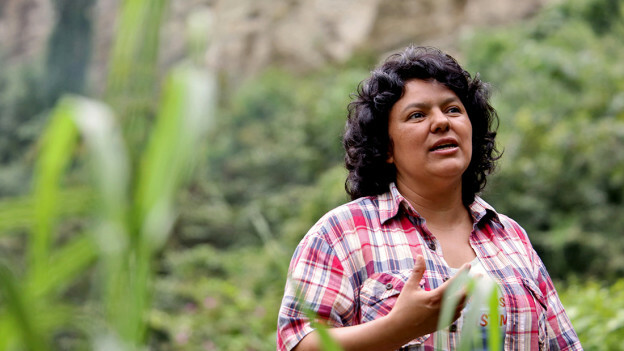 In the wake of Ms. Berta Cáceres’s assassination, we are deeply saddened and deeply disturbed as the peaceful fight for the protection of life, indigenous life, in Honduras and throughout the world, is perpetually met with violent resistances, attacks and murders. Ms. Cáceres knew the risks of leading her Lenca people in the defense of their lands and resources historically threatened by illegal logging and most recently by the construction of a dam; but, cowardly threats to her life and livelihood did not derail her. She had a mission to improve the livelihoods of her people and implore the rest of the world to “wake up,” as she called for in her Goldman Environmental Award acceptance speech. Ms. Cáceres knew that if our nations cannot determine a way to live and operate in harmony that we will sow our own destruction. Her message was on behalf of the indigenous people, but is one that speaks to all people, throughout our lone world. The brutal perpetrators who took Berta Cáceres’s life are likely part of the broader crisis throughout Latin America and other rainforest countries. This crisis – characterized by criminals seeking to exterminate indigenous and environmental activists who protest against extractive industry projects that destroy the environment – has resulted in over one thousand killings over the past fourteen years according to a report by Global Witness. 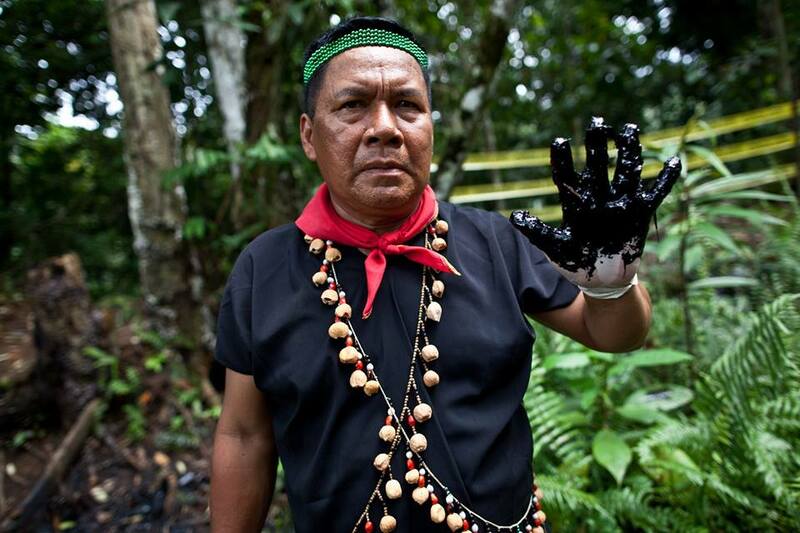 Honduras is the deadliest country per capita for environmental activists. This violence can end but is possible only when governments, institutions, communities and corporations work together to ensure that all stakeholders involved in extractive resource projects are fairly represented, involved and respected. Rainforest Fund appeals to you, President Hernández, to follow up on your promise to investigate this crime, as it is, as you say, one against Honduras itself. We beseech you to carry on Ms. Cáceres fight by upholding and implementing international law and custom regarding indigenous peoples and justice itself: to commit to policies that demand the free, prior and informed consent of indigenous peoples and to hold accountable those who violate these basic human rights. We thank you for your time and offer our deepest condolences for the loss of this inspiring woman who brought strength to her people.